Pretty impressive! The small blue shape in the center of the image is a human cheek cell. The nucleus is visible as a small, dark blue spot at the center. 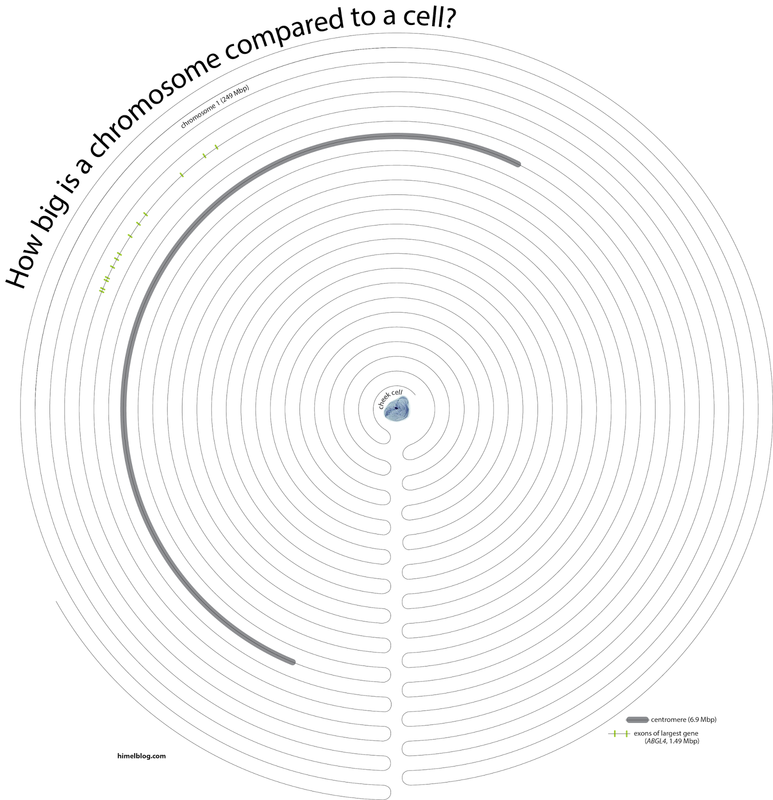 The thin line looping around the cell represents the length of chromosome 1. 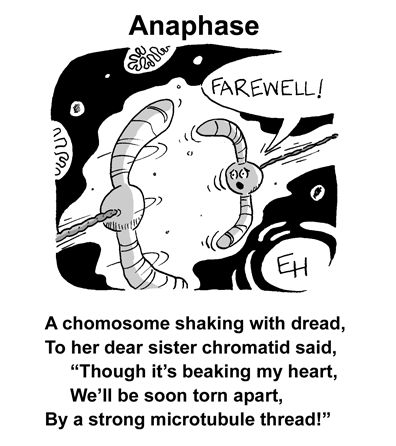 Chromosome 1 is about 248 mega basepairs (mbp, 248,000,000 base pairs). To see how I calculated the length of the chromosome line see my previous post about chromosome 21. I added some additional features to this image. The thicker grey line represents the centromere of chromosome 1 which is approximately 7 mbp...about 3% of the total length of the chromosome. The small green tick marks on the upper left of the chromosome line represents the exons of the largest gene on chromosome 1. The gene is AGBL4 and it stretches across about 1.5 mbp. The product of AGBL4 is involved in chemical modification of proteins and mutations in AGBL4 are associated with age-related macular degeneration. Notice that most of the DNA base pairs in the AGBL4 region of the chromosome are non-coding introns. 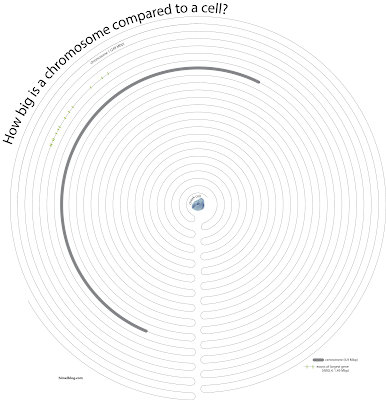 Bottom line...chromosome 1 is big! Two copies of chromosome 1 fold up to fit inside the nucleus of every human cell. And there are 44 other chromosomes folded up in there too!